Waziristan is a remote district of Pakistan populated by fiercely independent tribes who owe allegiance to no one and unite only to repel invaders or wage jihad. Its mountainous landscape is a natural fortress-sanctuary to the Taliban, probable refuge of Osama bin Laden, and widely regarded as the "epicenter of terrorism." Waziristan is as much a powder keg today as it was when India was part of the British Empire. It was here that the infamous Fakir of Ipi waged guerrilla warfare against the foreigners and evaded the 40,000 troops sent to capture him. 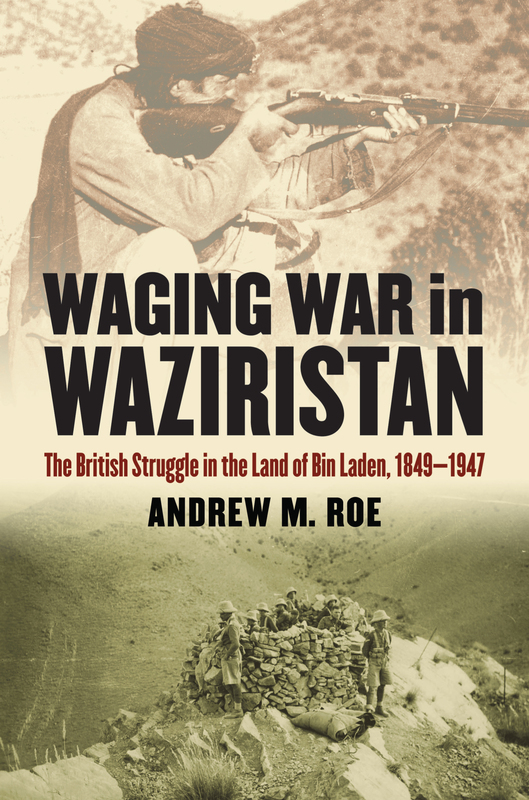 In this very timely book, Andrew Roe captures the essence of Waziristan's tribal culture, explains how the British managed to contain this volatile area, and provides new insight into why Bin Laden chose to hide there. Roe, a career soldier with on-the-ground experience in the region, distills the hard-earned lessons gained by the British. He explains how they sought to counter Russian expansionism in Central Asia, which was seen as a threat to tribal autonomy in India's North-West Frontier; he then tells how they pursued a policy of containment rather than control by working through indigenous forces and utilizing a combination of incentives and force to subdue and appease the tribal areas. Roe persuasively argues that many of the measures that were effective in pacifying the region in the past are equally applicable today. He stresses the importance of using force as a last resort and of harmonizing political and military activities. His bottom line: the British solutions to similar problems in the same geographical area, even though from a different era, have considerable utility for today's policymakers and military commanders in this region. Offering valuable insights, Roe's work shows how the British (long before "counterinsurgency doctrine" was embraced) grew to understand whom they were dealing with and what was possible and revised their aims accordingly—lessons the United States and its allies could well heed. At a time when the situation in southern Afghanistan is increasingly perilous, the British approach to tribal management offers useful guidance for the governments of Pakistan and Afghanistan and the international community in their attempts to deal with today's challenges. Andrew M. Roe is Company Commander, 2nd Battalion The Yorkshire Regiment (Green Howards). In an infantry career extending seventeen years, he has held command and staff appointments in Afghanistan, Bosnia, the Falkland Islands, Germany, Iraq, and Northern Ireland and has most recently returned to duty in Afghanistan.